In September, 12 students and professor Dr. Stephen Goldsmith, from the University of Utah’s College of Architecture and Planning visited Bonner County to hold listening sessions. 284 surveys were submitted and 160 people interviewed. Information from local residents about the character, values, challenges and goals for growth and development in Bonner County is now a report: Listening to Bonner County. All are invited to the meetings where the report will be presented, questions answered and comments noted. The report is online NOW at: www.listeningtobonnercounty.org and www.Project7b.org. simply want to help the residents of Bonner County understand and become more involved in land use planning. For that reason, Project 7B decided early in its existence to advocate for transparent land use planning and processes, and encourage public education and involvement in those processes. It also encourages jurisdictions to cooperate with each other to achieve mutual goals. 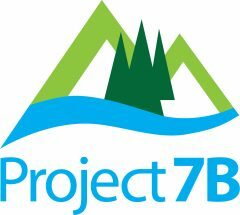 Project 7B does not advocate for specific outcomes or specific policies and/or regulations. Project 7B has created this website as a resource for the public to learn about land use planning in Bonner County and the area’s cities, and how to get involved. Land use planning can be an overwhelming topic to jump into and we aim to make this task less intimidating with the goal of encouraging citizen engagement in the local planning process. In this website you will find information about the basics of land use planning on our Land Use Primer page including summarized fact sheets about planning, zoning and the laws that guide these processes. Please visit our Updates page to learn about what is new with planning in our county and local cities. We have numerous links to more in-depth information on our Resources pages: Cities, Bonner County and General Planning. Take a look at this site from TIME magazine http://world.time.com/timelapse/. Choose a location and watch the changes that have occurred from the mid-1980s until 2012 from satellite images strung together. You can look at some of their focus locations such as Las Vegas or the Amazon or you can type in any location such as Bonner County.